Sleek Wristbands is a leading manufacturer of custom silicone wristbands. 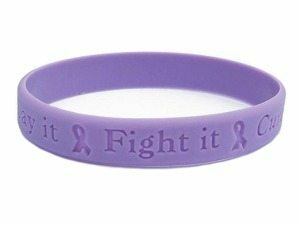 Wristbands are distributed worldwide for many non-profits, organizations, businesses, and Fortune 500 companies to use. With a large variety of different styles to choose from, your can be sure your wristband will be personalized however you’d like. 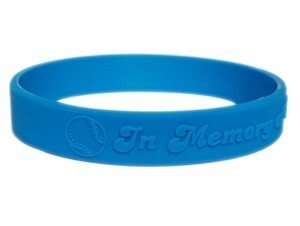 Custom rubber bracelets are a great way to spread the word about a cause or organization you support, a business or brand you’d like to advertise, to raise awareness, or to fundraise. We pride ourselves in providing exceptional customer service and helping those in need. This is why we treat our customers with the highest respect; especially since many of our customers are non-profits and schools who aim to make a difference. Our goal is to help customers express what they stand for by giving them a method to communicate that stance; our silicone wristbands. Whether it be to create awareness or raise funds, we love to contribute however we can to remarkable causes! Purchasing custom wristbands through SleekWristbands.com is the easiest, quickest, and cheapest way to order. With countless numbers of colors, fonts, and styles, and no minimum you can be sure your silicone wristband design will be fully personalized with your message. We use only the highest quality silicone & rubber material so you can rest assured about getting the best product. We also provide our customers with peace of mind by offering a 100% money back guarantee. If you’re not satisfied, we’ll do what ever is required to make it up to you. We want you to be able to design your silicone bracelets to be fully to your liking. This is why we provide many different styles such as printed, debossed, debossed color filled, embossed, embossed printed, and dual layer wrist bands. We also have a large selection of icons to add the final touch to make your wristband stand out. Additionally, to go above and beyond for our customers, we will also design a fully customized design for those who chat, email, or call us. Any custom wristband design that cannot be made using our tool can still be ordered by reaching out to us. We will create a mock up design for your approval at no additional cost! Our printed wristbands are produced quickly and are simply imprinted on the band. Our debossed wristbands are engraved into the band so the text will always be there. If you’d like the engraving to be filled with a color, you can opt for the ink injected wristbands – our best seller. We also provide embossed wristbands. This text style has a unique use – braille text to allow the blind to read the bands. If you want to get a bit fancy, you can get dual layer, color coated wristbands. We strive to provide exceptional customer service to our customers. Any issues, concerns, or general questions you have about our custom wristbands will be answered within an hour during business hours. Not satisfied with your wrist bands? We’ll produce them again, or offer you a refund. Feel free to reach out to us, and we’ll be sure to satisfy your every need. 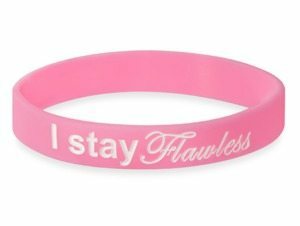 Designing your custom wristbands no minimum through SleekWristbands.com is the easiest and cheapest way to order. With a 100% money back guarantee, you’ll have complete peace of mind. We love helping others make a difference and are proud that our wristbands are used to support individuals and organizations all over the world. Design your wristbands today. When will my bands be delivered? You can expect your order to arrive within 2 weeks. Opting for rush production can get your order delivered as early as 7 days. Can I add artwork to my bracelets? Of course! If you have a logo you’d like to add to your custom bands, please contact us and we will get it added! As long as your order has not gone into production, we will cancel and refund your order. If you decide to cancel, please contact us as soon as possible. What will happen if my order is wrong? We try our best to provide exceptional customer service, if you received something you didn’t order, we will refund/remake it again. If your order is partially wrong, we will refund the partial amount. Is your customer service really that good? If that’s what you heard then it must be! 🙂 We pride ourselves in making others smile. Our primary goal is to help others, that’s why we donate a percentage of revenue to those in need. Feel free to reach out to us! What is the wristband made out of? Our rubber wristbands are made out of 100% silicone. They are latex-free. 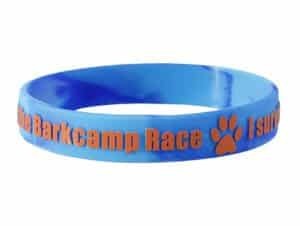 Printed wristbands otherwise knows as silk screened are our economical option for those looking for a simple way to promote something. 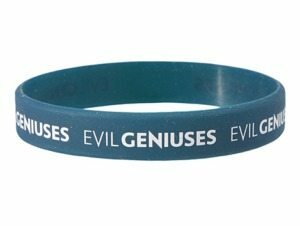 The text will simply be imprinted on top of the wristband, so even though we use the highest quality material, it’s likely to fade over time. What are the debossed wristbands? Debossed wristbands are one of our most popular styles. The lettering is engraved into the band so it will last forever. Durable silicone engraved with lettering are a great choice to use as a promotional product. What are the color filled wristbands? Color filled wristbands, aka ink injected are our best selling wristbands. They are similar to the debossed with the addition of the engraving being filled with color. It gives an elegant pop to the lettering and is perfect for fundraising & advertising. What are the embossed wristbands? Embossed wristbands are the opposite of debossed. The lettering is raised and gives the bands a unique look. If you want braille wristbands, then this style is perfect! What are the Embossed Printed wristbands? 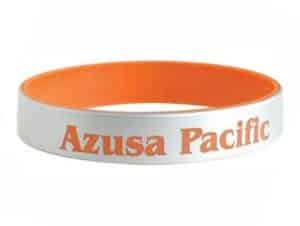 Embossed printed wristbands are liked the embossed bands with raised text, but are also printed with color. This gives this style more pop!